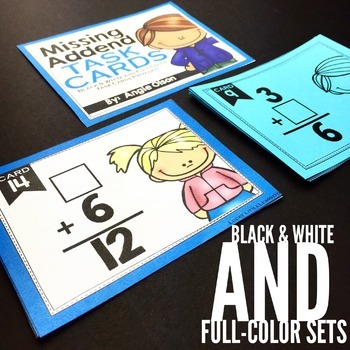 This math resource provides you with two sets of 24 task cards (48 cards total) that help your students with practicing missing addends. Addition sentences are displayed in both vertical and horizontal form. This resources comes with a full color version and black and white version for your printing needs. It also includes a student response sheet and answer key. 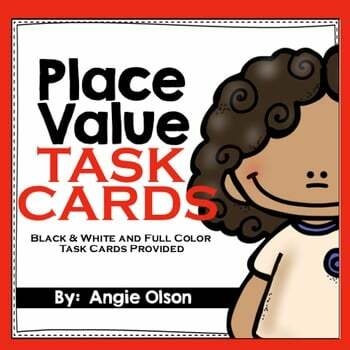 Task Cards are a fun activity that you can do with your whole class or as a small group center. 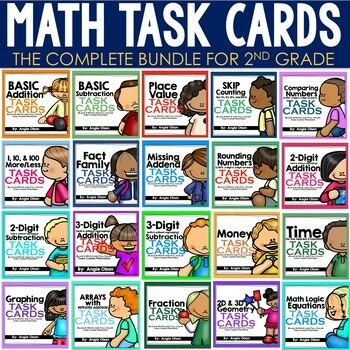 It will get your students up and moving from desk to desk while they solve math problems. 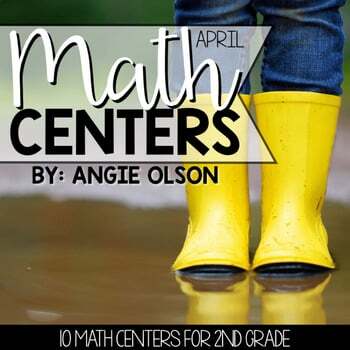 This activity can be used as a review, practice, or even assessment. After printing the following slides, cut them out and place one task card on each desk. 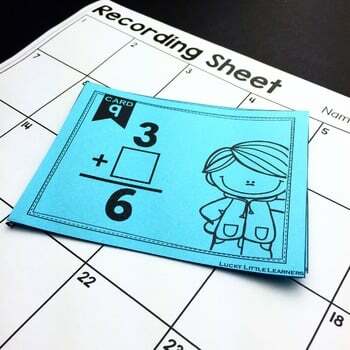 Each student will need a record sheet. Students will start at their own desk. They need to find the answer on the task card. Then the teacher says, “Scoot” and at that point the students need to move to the next desk to solve that task card. 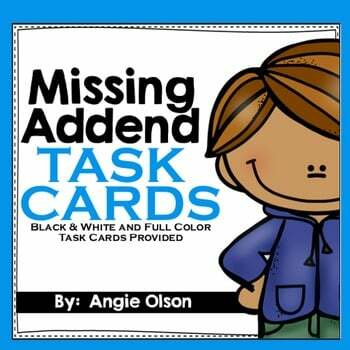 The activity will continue until all the task cards have been solved by each student. 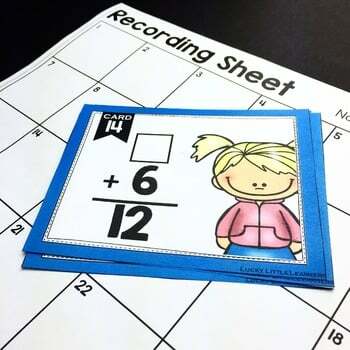 Corrections can be done together as a whole group for reinforcement/re-teaching or done by the teacher.